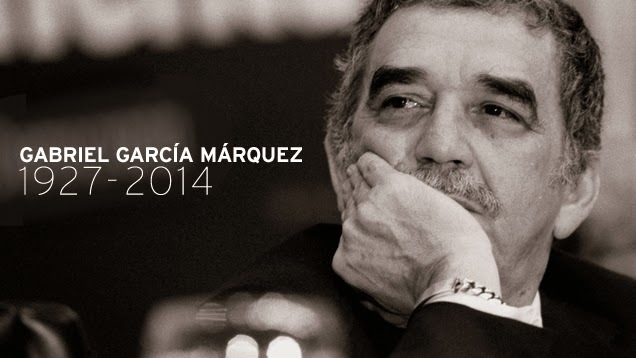 One of my favourite author, the great Gabriel García Márquez, passed away yesterday at the age of 87. The Colombian novelist was awarded the Nobel Prize for his majestic "One Hundred Years of Solitude", which sold over 30 million copies all over the world. But it's with "Love In The Time Of Cholera" that he won my heart. If I were stranded on a deserted island and could only choose one book, I would pick this one without any hesitation. It's an exalting and beautifully written love story that takes place at the turn of 20th century in a little port city in the Caribbean. This novel is intense, ageless, exhilarating, highly colourful, often painful but always captivating. A must read! "A true friend is someone who holds your hand and touches your heart." "Tell him yes. Even if you are dying of fear, even if you are sorry later, because whatever you do, you will be sorry all the rest of your life if you say no." "The world was reduced to the surface of her skin, and her inner self was safe from all bitterness." Thank you for such wonderful stories Gabriel, may you rest in peace. 2 comments on "Farewell Gabriel"
It's really a wonderful, wonderful book. Hope you'll enjoy the read!